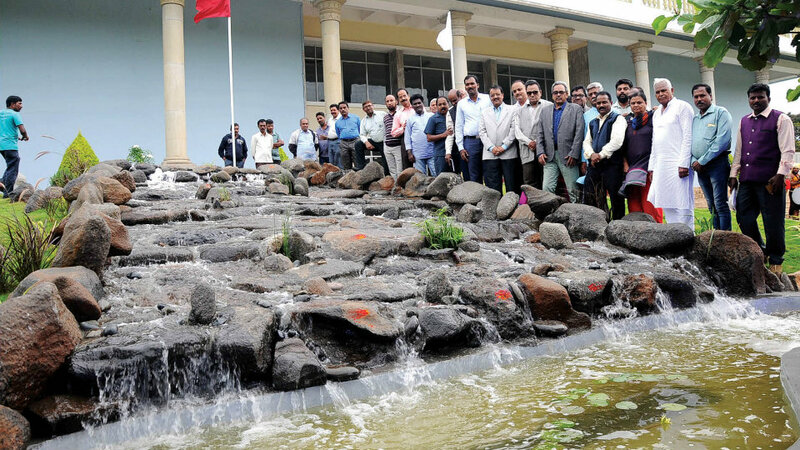 Mysuru: Bharatiya Reserve Bank Note Mudran Private Limited (BRBNMPL) Managing Director Jagamohan Rao inaugurated the artificial waterfall created in front of Kalamandira, here yesterday. Later, speaking at the Kiru Rangamandira, Rao said that Rs.1.40 crore had been given to Navadoya Schools through their Corporate Social Responsibility (CSR) funds. This year basic facilities will be provided to schools and colleges in the Mysuru region. A few cities are green and it is very heartening to note that Mysuru tops the Green City list in the country. Hence, to make the environment still greener and develop the parks, BRBNMPL will come up with more CSR funding, he said. Additional Deputy Commissioner T. Yogesh said Mysuru has many sobriquets including being called the City of Palaces, Clean City and Heritage city. This year like last year, Indore has bagged the top cleanest city tag in the country. When one tries to find the reason, it points to the response for cleanliness among its citizens. It is also learnt that at every 100 metres distance there are waste bins kept in that city, he revealed. Hence, Mysuru must strive hard to regain the top spot and this is possible only when people respond to the call of the District Administration. Also, private establishments should come forward to help in the cause of keeping dustbins every 100 metres, he said. 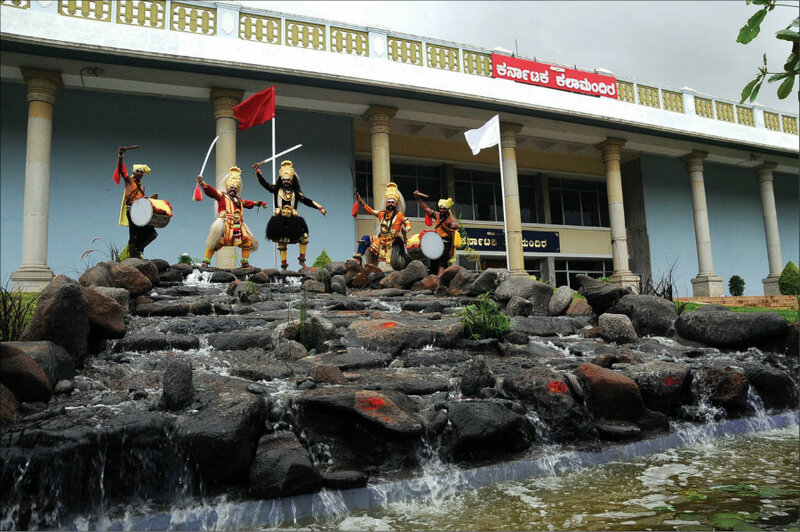 Kannada and Culture Department Assistant Director H. Chennappa said that former Deputy Commissioner D. Randeep is responsible for the beautification of Kalamandira. On his initiative BRBNMPL came up with its CSR fund of Rs. 20 lakh to create the artificial waterfall, he added. He also disclosed that a proposal to the government has been sent for development works including two rehearsal rooms in Kalamandira, interlocking tiles in front of Kiru Rangamandira, rainwater harvesting and upgradation of toilets at a cost of Rs.40 lakh. Industries Department Joint Director Lingaraju, Kannada and Culture Department Joint Director V.N. Mallikarjunaswamy, BRBNMPL Chief General Managers A.K. Mandal, K.G. Vishwanathan and others were present.